Combine ¼ cup of Hoisin, Soy Sauce, Garlic, Ginger and Five Spice in a zip lock bag. Add the duck breasts and marinate in fridge overnight. 1: When ready to cook, place the duck breasts in a (room temperature) sauté pan skin side down and place on medium heat. As the pan gets hot, the fat will begin to render, drain off the fat and reserve for another use. (Like our duck fat roasted potatoes recipe)! 2: Keep rendering until the skin is golden brown and the edges are beginning to char. 4: Remove from pan and rest duck on a plate covered with foil for 10 minutes. 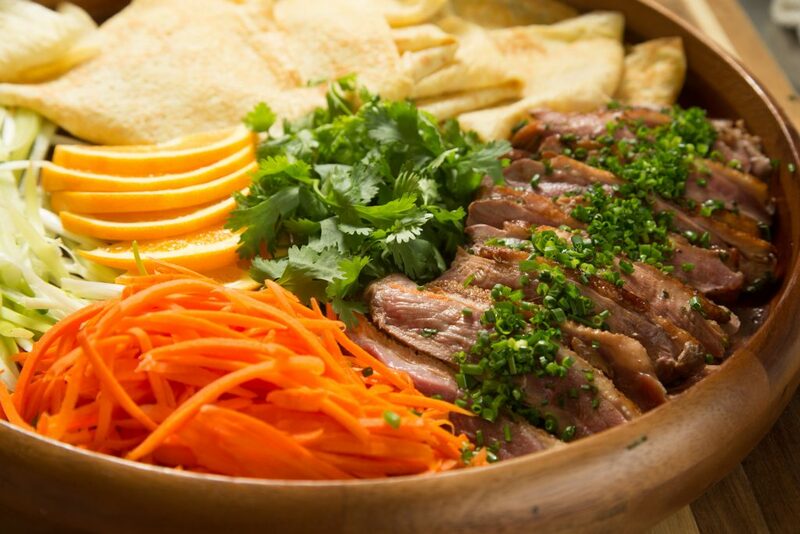 5: After resting, slice the duck breast lengthwise into thinnest slices possible and reserve until ready to serve. For the Carrots: Toss the carrots with lime juice, vinegar and sugar, allow to marinating for 10 minutes. 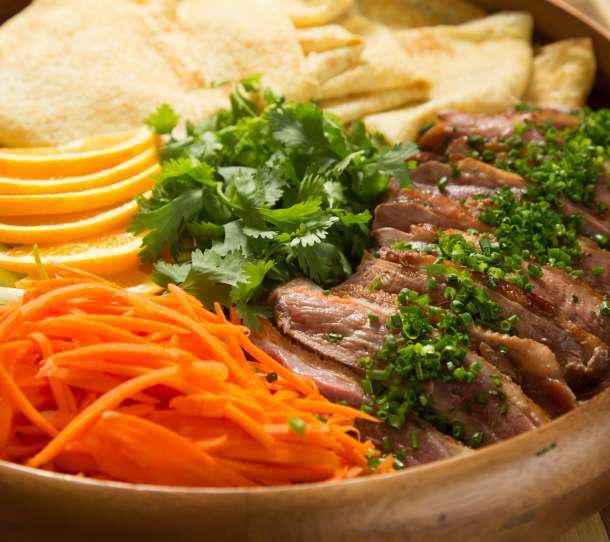 To Serve: With the remaining Hoisin Sauce spread on each tortilla evenly, top with a few slices of marinated duck, some julienned cucumbers and pickled carrots. Sprinkle with scallions and cilantro.